People from all walks of life are charged with theft every year in Denver; the motivations for these crimes are diverse as well. Whatever the circumstances, individuals facing theft charges will need experienced representation to help them understand their rights and craft a defense. Colorado courts take theft seriously, and offenders potentially face probation, fines, restricted access to locations, limits to Fourth Amendment rights, and jail time. Theft can span a wide range of municipal, misdemeanor, and felony level charges. If you’ve been convicted of theft in Denver, you need Wolf Law. Call 720-479-8574 for a free case evaluation today. Accepting a guilty plea to avoid jail time or fines won’t end your trouble in Denver. Employment laws for convicted felons in Denver are complicated and can lead to ongoing employment struggles. It may be hard to find a landlord who will rent property to a convicted felon. If you’re facing felony theft charges, landlords may not welcome your application to rent property. Convicted felons are not explicitly protected, for example, under the Fair Housing Act. In addition to jail time and fines, you may also suffer personal restrictions. Offenders could also face probation; restricted accesses to certain places, locations, or stores; limited Fourth Amendment rights; and other personal restrictions that could negatively impact your quality of life. Managing a Denver theft charge alone or with inexperienced counsel is never recommended. Even minor charges can carry significant consequences that could limit your future liberty. At Wolf Law, our theft defense attorneys are here to give you the information you need to make the best decision, and we’ll work hard to get your charges reduced, dropped, or dismissed. Call 720-479-8574 today to go over the facts of your case; or tell us what happened online to get started now. Most people understand theft as taking another’s property without permission, but Denver theft charges encompass a broad range of actions that are often accompanied by other crimes such as fraud and burglary. Theft charges can be accompanied by life-changing consequences. The Denver criminal defense attorneys at Wolf Law can help you understand and protect your rights. Theft crimes occur when a person obtains anything of value without the owner’s consent. This definition, however, isn’t limited to traditional notions of theft, like when someone takes a person’s purse or wallet. For example, theft charges can result from fraudulent returns to a store (i.e., property taken illegally and returned for a profit). Theft charges can also be incurred by a person who deceives others into giving away property under false pretenses. Moreover, “property” in many cases doesn’t have to mean money; it can include services, labor, etc. Credit card theft: Unauthorized possession and/or use of someone else’s credit card, debit card, checks, etc. Generally speaking, Colorado theft charges are based on the value of what has been stolen. Aggravating theft charges, such as a use of force or violence in an effort to obtain stolen property, or if several offenses occur in a short period of time, can enhance penalty minimums. Ultimately, facts of the case will determine the degree of charge and how an effective defense can be shaped. 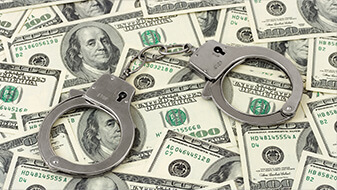 Wolf Law is your theft defense resource for criminal charges in the greater Denver area. Call 720-479-8574 today to go over the facts of your case; or tell us what happened online.